was born in La Haye-Descartes on the 14 th April 1867. He lived in "la maison à la balustrade" situated in what is now called the "Rue Mouton". After studying in Poitiers and in Tours, René Boylesve really begun his literary career in Paris, where he met the best writers of the time (Gide, Verlaine, Valéry, Proust...). The pinnacle of his career was when he became Member of the Académie Française, on the 16th May 1918. South Touraine was his true home and he wrote of its charms with passion and also with a hint of nostalgia. But his love was not blind and he used his pen to describe blunty the horrors of the time. La Becquée (1901, the first version being Les Bonnets de dentelle) and L'Enfant à la Balustrade (1903), are thought to be his best works. 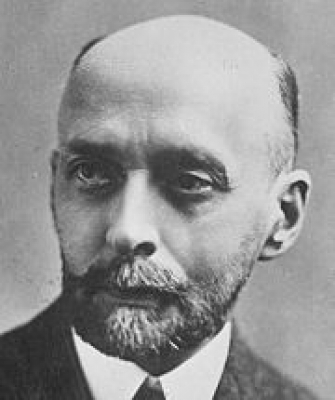 René Boylesve died on the 14th January 1926 in Paris. In 1951 a bust of him was placed in the Public Garden of Descartes. In the same year the "Association des Amis de René Boylesve" was also created.